Last week I announced our very first SWAP here at The Sewing Loft. A zipper pouch swap that would include a free copy of my new pattern for all who participated. Fast forward one week and it is safe to say that I am excited! To confess, I was extremely nervous that no one would sign up. But you guys signed up and decided to join me. (Many big thank you’s for that!) Our zipper pouches will be arriving in so many mailboxes across 6 different countries. Now that my friends, is truly exciting stuff!! For those of you just joining now or maybe did not have time to create a zipper pouch for the swap, do not fear. I have you covered! 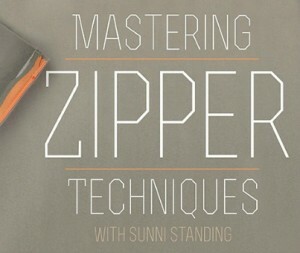 Today’s post is a fun round-up of free zipper pouch tutorials from across the web. With the holiday’s around the corner, I’m sure we can all use some inspiration to keep us stitching through our fabric stash. The center photo is from my stash of reclaimed metal zippers. Yummo! 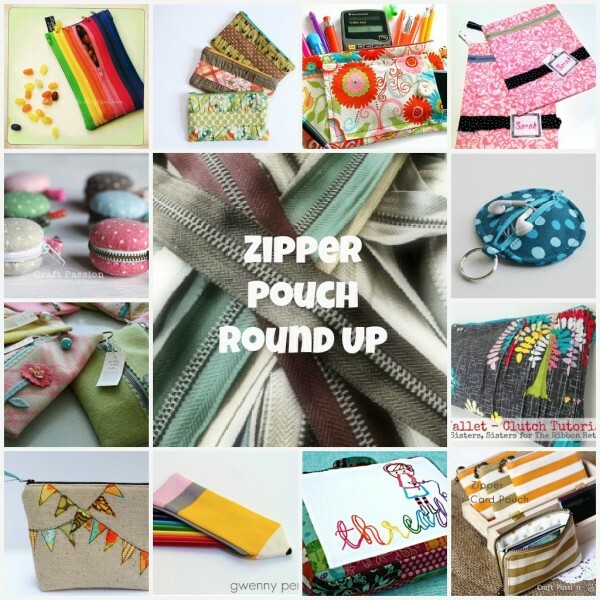 This zipper pouch round-up is pure eye candy for me! There are just so many people I could cross off my holiday list if I made a few of these babies. **And for all of you who signed up for the swap- Check your in-box, you have mail! 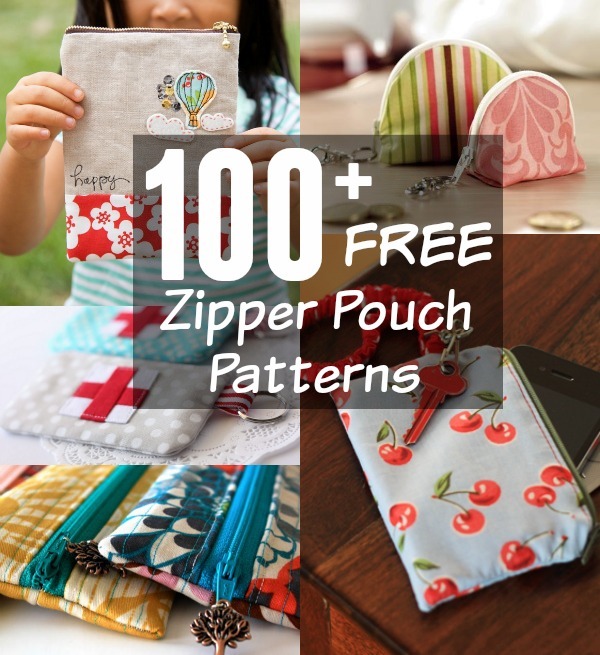 Want even more zipper pouch patterns? Brush up on your skills with this FREE Craftsy class. Thanks so much for including my pencil pouch! Great round-up! Heather…I signed up for the Zipper Pouch Round Up a few weeks ago, but did not receive and email from you. Can you let me know if I am still able to join in or if maybe you just haven’t sent the email to me?? Thanks…looking forward to it!! I have you on my list and you are paired up. I will resend the email now. Please just drop me a note back to confirm all was rcvd. I look forward to seeing what everyone creates! Great round up of tutorials there! Such cute pouches!! Thanks for posting this round-up!! I’ll have to pin it to my Sewing to Try board. Oh thanks for that. Great collection!! I just joined! Looking forward to getting your postings! !